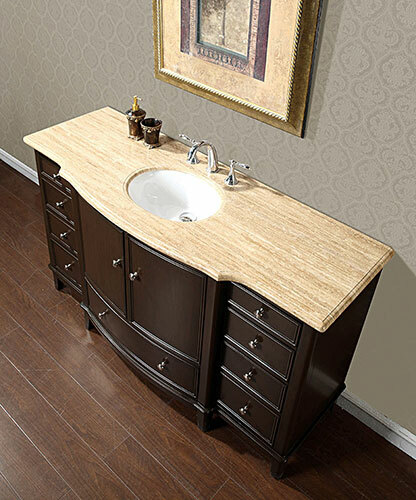 With its classic Roman Vein-Cut Travertine Stone top and Espresso finished cabinet, the 60" Matius Single Bath Vanity offers to your bathroom a look that is unlike any other. 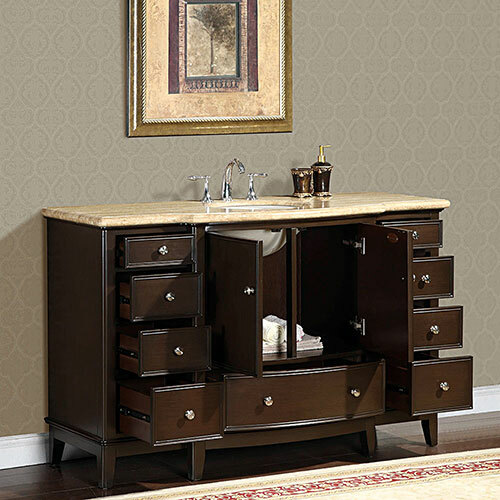 Bordering between traditional and modern, this gorgeous vanity not only offers a beautifully spacious countertop, but also provides you with nine fully functional drawers, along with a central double-door cabinet of space to store all that you need in your bathroom. The top comes with a white ceramic undermount sink and is pre-drilled with a standard three faucet hole in 8" spread. Faucets not included.